Pipeline put off, but I’m not celebrating, are you? 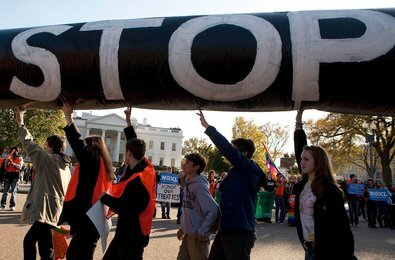 Bill MicKibben: We won a temporary victory on Keystone XL, but the fight goes on | Grist. It’s hard to feel elated about President Obama’s decision this week to kick the can of the Alberta tar sands extraction down the road a ways, until after the 2012 election. Yes, any victory is a good victory, and the environmentalists who took the trouble to go to Washington and raise a ruckus in opposition to the proposed pipeline deserve our accolades and thanks. 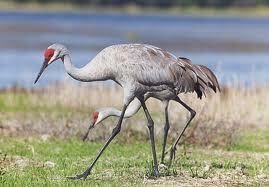 The cranes who use the Nebraska Sand Hills refuge will have another year or two of peace. The Ogllala aquifer is protected for the moment. But it’s discouraging to see how the Administration is trying to limit discussion to the pipeline, as if it, in itself, were the problem. No, the pipeline is just a symptom of a much larger problem: the potential destruction of the Canadian boreal forests, with their countless species of flora and fauna, and their tremendous carbon-trapping properties. 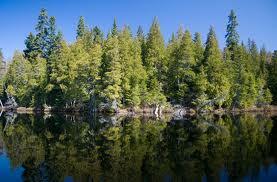 Without the Alberta forests, global warming is a done deal. Does anyone there in Washington understand what that means? Earth to Washington: do you copy? We haven’t got much time left. The temperature is rising. Once the climate destabilizes, we won’t be able to turn things around for a long, long time. We’re talking geological time here. So can we get some serious action there, Washington? Can we light a fire under those politicians and get going with solar energy already? Washington to Earth, connection is down. Can you repeat? Over. A teachable moment at Penn State?